I've been having chronic pain in the left front of my hip. The pain prohibits me from bringing my knee up towards my chest. It makes it impossible to put on a shoe independently. When I lay on my back, I can feel how much more tough it is compared to the other side. This has been going on for about a year and a half. Previously, Dr. Parvizi thought it was a TFL spasm or arthritis. But if I got replacements, there is not arthritis to cause pain. I just feel like that muscle or tendon is torn...something is off about the severity of the pain I feel. I decided to email Dr. Parvizi about the pain I've been having. I also ask him about my right hip indentation and overall stiffness in the sides of my hip. I am about 6 months post op, but wonder if I'm expect too much? He emails me back to say that I'm not asking for too much for this time past the bilateral THR. He suspects the pain is from the iliopsoas muscle. Click on the photo to be transferred to the website. The only way to tell if its torn or inflamed, is to do an ultrasound. Then, the doctor will determine if I need an injection. I have to go to Philly to do this and I luck out with the increase nice temperatures. So, I make an appointment to go January 9th and also make an appointment to see Dr. Parvizi after the ultrasound. When you get an ultrasound for your muscles, it is very similar to a regular gynecological ultrasound. You lay down in a dark room with no pants on. The tech comes in to put jelly onto the ultrasound wand and proceeds to take photos of your muscle and tendons. I did get a little weird for a moment because the last time I got an ultrasound was when the baby died. I kinda reverted back to that moment when that sadness happened. Part of me had to be strong and change my mindframe to think: "This is only for your hip." This is NOT me. It just shows you an iliopsoas ultrasound. I remember laying there and trying to relax. It felt like I was laying there a while for the techs aren't allowed to tell you what they see. She asked how I got to getting bilateral hip replacements, and then I had to go into my entire medical history, for just one sentence answer does not explain it. She left the room and was going to get the doctor. The doctor would look at the images and then determine whether I needed a cortisone shot or not. I tried to nap, but it was difficult for some reason. I figured this was the only time that I would be relaxing and laying down before another 6 hour drive home, but I couldn't. The doctor came in with 2 doctoral students. She was young and very nice. She asked me the same thing about how I got to having bilateral THRs. So...again I went into my summary. As I stated I had bilateral dysplasia, FAI (cam), and acetabular retroversion, she kept looking back at the doctoral students and nodding. I did like how she wanted to make sure they heard me. She asked me my initial symptoms and then kept shaking her head. She then stated that the iliopsoas was intact and nothing looked 'wrong' with it. I was relieved but also surprised...what was wrong with that area then? She said she did she a lot of scar tissue there and it must be from the left FAO. She said it could be the problem, but she didn't think I needed a cortisone shot. She asked me if I could make the pain: oh yes, I could. I laid back and tried to bring my knees to my chest. I needed to grab the back of the table for leverage. She then put the ultrasound wand there and pressed hard. I let out a little yelp and said that was the spot. She then said it was up to me whether I wanted the cortisone shot or not. I wanted it. I drove 6 hours and I needed a change. I was willing to try this and see if it improved the area. I wasn't going to leave the hospital not knowing if it would've worked or not. They left the room to get the injection and paperwork that I had to sign. Once back, I signed consent for a musclosketal injection and I read the possible side effects. The doctor then asked me where I was from and when I stated that I lived near the Ohio border, they both repeated "OHIO!". I was like "Well, yeah...there's no where else in the country for someone to work on me. Dr. Parvizi was one of just a few. He is amazing and looks me into the eyes every time!" I mentally prepared myself for the injection. She put a lot of betadine solution on me and it ran down the side of my leg. I knew that it was going to be a pinch. She started with the numbing shot and that didn't hurt much. She then used the ultrasound wand to pinpoint exactly where the pain was. When she found it, she put the needle in. THAT NEEDLE WAS HUGE. I mean freaking HUUUUGGGEEE! I grimaced and made a couple of moans and she put it in there the whole way I think for I stopped looking. Once again, not me, but just a photo of the guided injection. She put a band-aid on the injection site and then wanted me to get up and do something that caused the pain to see if the injection worked. I had no pants on and when I got up, I had to get them on. It was hard putting my leg into them. The left quad felt numb and weird. Then when I tried to lift up the left leg, I couldn't do it...like at all. It kept wanting to go back down as though it was 500 lbs. I told them it was worse and they were disappointed. I thanked them for at least trying to do it. They left and the nurse stayed with me to explain that I might feel flushed after the injection. She said that it would throw off my menstrual cycle, which made me kinda mad. She said I would get my period later possibly. I went back into the waiting room for they said they would print off the report and I could go back and give it to Dr. Parvizi. As I sat in the waiting room, I kept lifting up my left leg. It was normal. Like zero pain. I kept doing it. I would lift up the right and then lift up the left. No pain. The tech came out to give me the report and I left quickly to get back to the medical building for my appointment with Dr. Parvizi. I read the report in the elevator. It said there was no significant damage to the iliopsoas muscle. Cause of pain is suspected to be from the Femoral acetabular osteoplasty in June 2011. When I finally got a chance to see Dr. Parvizi, he read the report and said that I could rub Vitamin E lotion or gel-capsule into the area. He said that stretching and Vitamin E would break down the scar tissue. I told him that I did feel better after the shot, but it was still a little weird in that leg. He said as for my other areas of stiffness, it would be strengthening the muscles that would balance back the looser areas. He said that I could do more physical therapy to train those particular weaknesses. The right leg has an indent in it and he said a plastic surgeon could remove the fat and inject it into the dented area. He said that my next appointment would be a year from today. Then I went on my 6 hour drive back home. I was starving!!! The next day, I couldn't believe how normal I felt. I kept showing my husband how I could bring up my knee to my chest. I lifted more weight on the leg extension machine. Previously for a LONG time, I couldn't do more than 2.5 lbs for 3 reps. I put on 10 lbs and could do 5 reps! I squatted with 30 lbs on each side whereas before, I couldn't squat with any weight. I jogged! Yes, I jogged! I walked a lot too because I was breathing in some cold air. My muscles the next day after jogging were fine! I sprinted in my driveway! Before, I didn't have that acceleration. It was difficult to just run. It always felt weird! I emailed Dr. Parvizi and told him about how great I felt. He said that was great and that I might have had illiopsoas impingement. He said he could do more injections when I needed them. I was literally almost in tears thinking about how normal I was now! My body is back to good even it it doesn't last long! If you'd like more info on cortisone shots, please click here. 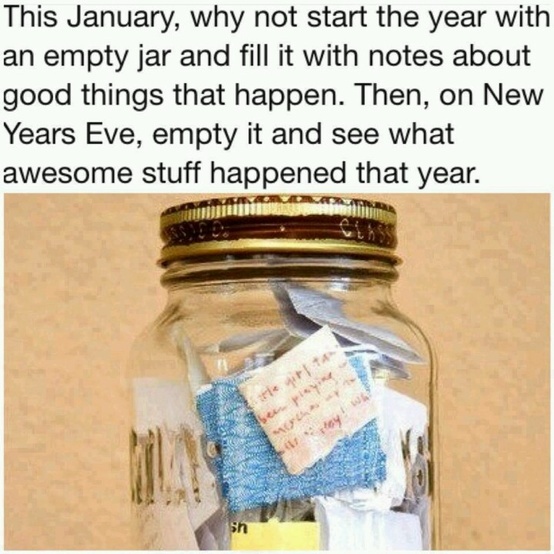 Also, I started doing this! I feel so much more positive! Of course, click on the link to be directed to the website. Pinterest rocks! Well...prancing and dancing around outside and in the house was short lived. That pain free quad/hip flexor area was good for about 10 days. That's all I got. I went to Physical Therapy and got on the Pilates machine. I laid back and put my feet into the straps to do legs out and in extensions. Then I felt something almost slide and felt off. I told my PT that I felt off...we iced as usual and she told me to take it easy. From then on, it didn't hurt as badly, but definitely 'lost' some of the feel goodness. Damn that Pilates machine! I can still lift up the leg, but cannot hold it as long I as could right after the cort shot. It's about a 3-4 on the pain scale now. I guess I'll take it. When I had the cortisone shot done, right after, the nurse said that my period might come a week late or early. Grrrrrreat. That is what every infertile person wants to hear: something else to mess with my cycle even more. I was on CD6 when I got the shot on January 9th. I started spotting on CD19. Then got a full on period 2 days later. Here I was thinking that this is the 'week' early, but actually 13 days early. I didn't get a + OPK in January. But what I didn't expect, was that after 9 days of bleeding! Yes 9 days...my periods are always 4-5 days....I kept on spotting & bleeding for a total of 44 DAYS! In the meantime, I called my OB-GYN at 12 days of bleeding and their response was that irregularities are normal. Ok.
Then when I got to day 20...I called my primary physician and they said they give cortisone shots all the time for allergies and they've NEVER had anyone with prolonged menstrual bleeding. So then I called the hospital where I got it done and told them. Again, this was unheard of by them. They did seem genuinely caring that this happened and wanted me to call them back when I had finally stopped or figured out what was going on. How am I going to stop bleeding? Wearing liners every day drove me insane! My temps were normal and not low, so I didn't understand how the cortisone shot COULDN'T have messed it up...I mean your body makes cortisol and if cortisone is a steroid, can't that throw something off?